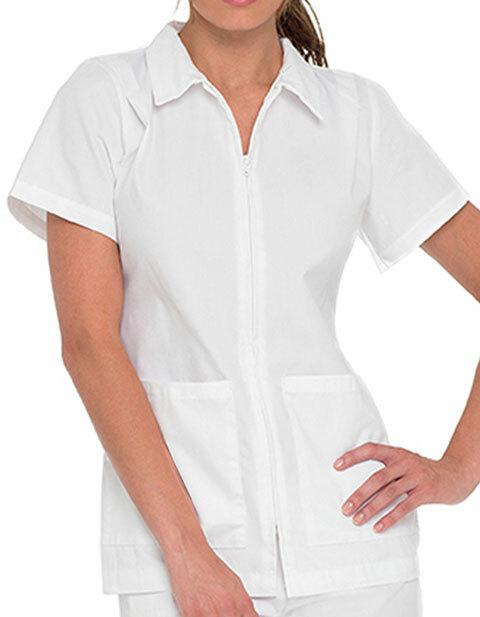 Look professional, feel great and enjoy exceptional functionality with Landau women’s two pocket zip front nurses scrub top. With full front zip closure, the stylish and easy to wear nursing dress brings professionalism in your personality. Moreover, pleat shoulder features provide you added style while the patch pockets enable you to keep your valuables and instruments safely in place.